Q: Andy L. of Conneticuit has decided that it's high time his kids learned something about the value of money. He's decided to take them on a volunteer trip so they can do some work with their hands and witness with their own eyes how people less fortunate than them live, but is unsure about where to start, especially when most sites seem to cater to adults only. A: As honorable as it may seem, volunteering with families can be surprisingly difficult to organize. Many companies refuse to allow volunteers under the age of eighteen to participate in volunteer work – for reasons such as liability issues – and this could make planning your educational excursion rather tricky. However, all is not lost! There are a few companies who allow for younger volunteers. While many commercial Volunteer Travel organizations carry an 18-and-up age restriction, GlobeAware (www.globeaware.org) is notable in that they accept volunteers of all ages. 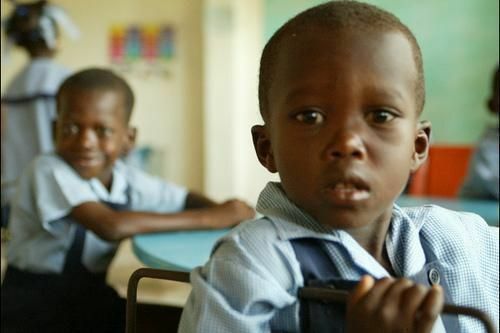 They also have a variety of programs which involve bulding and other manual labor, such as building furniture in China, or sinking wells in Ghana. For summer of 2011, the trips typically last a week (although this can be extended to three weeks for an added cost) and run the gamut in price between $1100 and $1400. Elevate Destinations (www.elevatedestinations.com) is a company that has recently been featured on our site and many others. Recently, their trip to Haiti was advertised in National Geographic Traveler's 2011 "Tours of a Lifetime" segment. They are offering two "Build Out" trips for the month of August – one team builds a Boys Home in Port-au-Prince while another builds classrooms and a computer room for a community school in Jacmel. According to the program's coordinator, their "guideline" age limit is 18, but they are also prepared to accept mature, younger teenagers who are willing to work. If you do end up going, there are two travel packages to choose from. One is a "basic" package, for $800, which means that you and your family will be given two small, simple meals a day and will sleep on pads on the floor. The other, at $2000, is an upgraded package which includes nighttime accommodation and dinner at a local hotel. Finally, if you're looking for something a little closer to home, New Orleans still has not completely rid itself of Katrina's devastation. The Beacon of Hope Resource Center (www.lakewoodbeacon.org) is one of many organizations which co-ordinate volunteering in the Louisiana city, and are still regularly organizing volunteer projects. They accept younger travelers, and are prepared to work with you to find a project that suits your wants and abilities. Shoot them an email through their website and see what they have available! If anyone else out there has had any luck with family volunteering, we'd love to know about it. Leave us a comment detailing your experiences and if it suits what we're looking for, we may feature it.